Photo by the talented Marietta Marthinsen. It’s no secret that I am a huge fan of dressing like a distinguished fur-man of quality. I wear hats, brush & wax my beard and always, ALWAYS, wear a bow tie. Because, you never know when the producers of the next 007 movie will happen to see you and ask you to be the leading character in their next film. (A dog can dream!). But today, we are not here to talk about my great sense of fashion. Today, we are here to celebrate Y-O-U. My loyal blog readers! As a way to say thank you for always following along in my Hami adventures, I wanted to gift one lucky reader, one of my very own bow ties. Thats Right, a Bow Tie Giveaway! Just look at it. This pawsome Bow Tie could be all yours. You too can look like a gentledog of quality!! Wanna enter-to-win this pawsome bow tie? It couldn’t be easier!!! 1: Leave a comment below telling me why you want a bow tie. Last day to enter and leave a comment is March 18, 2017 at 11:59PM EST. Odds of winning depend on the number of comments received throughout the sweepstakes period. Riley can’t wait to look as handsome as Hamilton in the dapper bow ties that Hami wears! You are a good mom to Riley!! 🙂 Sending you all the best luck for the bow-tie giveaway. Hugs to you both!! Hi Hami, Angus here, I’ve asked my mum to comment because I am currently trying to win the heart of a certain furlady and a bow tie could be just the thing to seal the deal ! ohhhhhh – if a fur-lady is involved, then a bow-tie is a DEFINITE must….keeping paws crossed for you Mr. Angus, my pal! I want to win a bow tie so that I can look as super dapper and pretty as you!!!! awwww – wishing you all the luck in the world, pal!! Hugs and kisses!! Hami! I wanna be as chic as you! You are a stylin pup! Haha – It’s my Miami Style! 😛 Paws crossed for youuuu. I’m tired of wearing neckties. With these short legs I’m always steppin’ on the darn thing! It’s time for a snazzy bowtie! Aroooooo! Yesss Stuart!!! You’ve got the idea!!! Paws crossed for you, pal! I would like to have this bowtie for my scottie Sir Dylan Alloyd!!! He is very handsome and loves the fur-ladies!!! He thinks Hami is really truly an awesome dude!!! ??????. Hi Hami! I’m Monty, your brother from another mother in Michigan. Spring will be here before we know it and this bowtie would definitely make me a trendsetter in the Midwest! Plus, I want to match my best friend Remy…she’s a Scottie too and the bandanas my Lola and Poppy have her wear are always so chic! ohhhh….Bro from another Momma…You make a VERY convincing argument. Looking look is SUPA easy with a bowtie. Hope you win and become THE midwest trendsetter, pal. big hug and paws crossed for you! This bowtie would help me look extra dapper as I strut around my neighborhood on my daily walkies!! ? Because I have a cat. A cat with a sense of style. She needs a bow tie. Hi Hami, Im A SCOTTISH NAMED Pele Cafú, and I REALLY REALLY need that bowtie, cause FridaSchimia (MY FUTURE GILRFRIEND) have a crush on you, and I need to conquer that pawsomgirl!!! Pele Cafu!! I LOVE your name! <3 You really made me LOL with your future girlfriend story!!! FridaSchimia doesn't know what she is missing!! Goodluck my pal. Hami – I would love to win the bow tie for my pup! He is getting a new scottie baby sister in a week, and he is going to need something to get so he doesn’t get jealous of all her toys and clothes. The bow tie would be perfect! Hi Hami! This is Oscar Wilde-Beest writing to ya through my biographer/human. I’d love to win this bow tie cuz you’re truly my style icon! Been following your steez since I was a teeny pup. Keep up the great looks! I’m beyond honored that you think of me as a style icon!! wow 🙂 Keeping my paws crossed for you, buddy! Hami, you handsome dapper dude, we are awaiting our new Scottish terrier puppy to join out little family, I hope he will enjoy romping around town and riding paddle boards as much as you do. We promise to share pictures in the bowtie. Your photos and blog helped me pass the long months we have waited for our pupper to be ready to join our family. Thanks Hami! Who says that bow ties are only for boys! I know of a Scottie named Belle that would look quite gorgeous in one! Hami! I am a sassy,classy lady Scottie named Milly and I think a bow tie would really “chic” me up! We “hot numbers” have to stick togather! Of course, there are soooo many of us Hotties in the Scottie’s world! Too many to count! Scotties Rock! 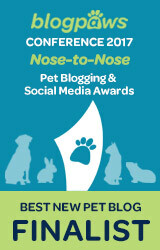 Me & Bessie the Basset Hound extend our hellos & our best wishes to you as finalist at BlogPaws confurr-ence! Bessie thinks Hamiton is very handsome in the bow tie. She is fluttering her eyelashes at his pic. Mew Mew! Woof Woof!